Casting Background Talent – Non-Union Commercial (Indio) Expired. This is a series of 3 commercials for production company The Ether. DETAILS: 35 to 55 years old, all ethnicities, male or female. 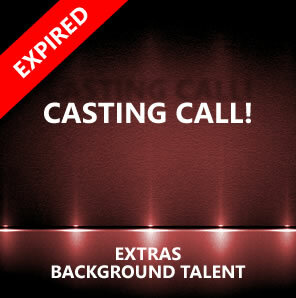 Background talent should have an upscale yet relaxed vibe, attractive and clean-cut. They are established career-wise, enjoying the good things in life, watching bands they have been following for years, they value comfort, good food and good wine. They are cool, fun, and down to earth. Seeking background talent for a variety of settings, including concert-goers, campers, pool-goers, diners, and waiters. *NO AUDITIONS – CASTING FROM PHOTO/REELS. *NO TRAVEL/LODGING INCLUDED – MUST BE EITHER INDIO LOCALS OR WILLING TO TRAVEL. *No wardrobe will be provided on set – talent is only expected to bring one outfit. Production will provide a list of ideal summer looks, ranging from nice casual to conservative beachwear. *3 DAY SHOOT – PLEASE NOTE YOUR AVAILABILITY (talent may work 1-3 days). Submission Deadline: Wednesday 06/22/2016 (the sooner the better!) Extended to Friday, June 24, 2016 but hurry … there’s still a few openings! To be considered, please email headshots/photos (and reel links if possible) to theethercasting@gmail.com.